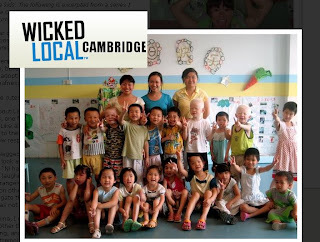 "Last summer, two friends and I returned to the Wuhan Child Welfare Institute in China to work. This was difficult to do because it is against Chinese law for foreigners to work in a state-run facility. We got special permission because the orphanage was once our home. As the first children to be adopted from China in June of 1992, we were also the first to pave the way to return. This fall, we raised $25,000 through Families with Children from China for heart surgeries for these kids." Zoë Rose Xia Shi Ting Guastella recently wrote a series for the China Connection, a journal for adoptive parents, and the CRLS Register Forum. This week she shared an excerpt with The Cambridge Chronicle. To learn more about her experience and to read the full excerpt visit the Chronicle's website by clicking here. Your family can follow the example of this young woman. 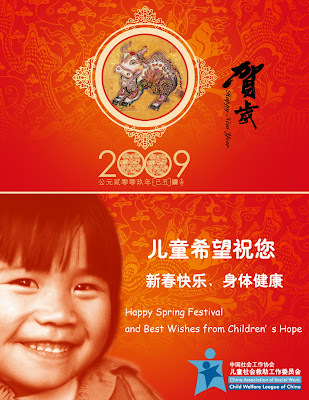 Return to your child's homeland through Children's Hope's partnership with OCDF China Tours and give back to your orphanage with a personal fundraiser. 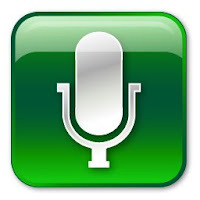 You can even promote your fundraiser through an online web page of your own. Returning to your child's orphanage is an important decision, not to be made lightly. To begin your preparation and to help evaluate your family's readiness, consider researching articles by Dr. Jane Liedtke, founder and CEO of OCDF China Tours, provided below. * "Returning to China with Your Adopted Child"
* "What's in an Orphanage File?" * "Walking Down the Village Path"
We are happy to have to in our company today, and all weekend, the Director of Hope Community Services, located in Tegrey, Ethiopia – Gabe Beyene. Children's Hope partners with Gabe and his wife Connie to further our mission of Homes, Health and Hope for Children in Need, in Ethiopia. We are blessed to have him with us and appreciate his dedicated service to the citizens of Ethiopia, and to Children’s Hope. This morning, Gabe shared a passage from Matthew chapter 11, verses 28-30. "Come to me, all you who are weary and burdened, and I will give you rest. Take my yoke upon you and learn from me, for I am gentle and humble in heart, and you will find rest for your souls. For my yoke is easy and my burden is light." This is Christ's promise to us. Gabe, a native of Ethiopia, had lived in New York City for 16 years. In his experience, the homeless of New York City are far more prosperous than so many in Tegrey. He acknowledged, however, that we are all burdened as humans, even as our burdens are different from one another's. It is only by giving these burdens to God, that we find respite. How wonderful that this rest is given to us freely. This week we are happy to have referred 3 children - all boys - to families in our Ethiopia Program. The boys are 3 months, 19 months and 3 years old. Congratulations to the happy couples! Last week, we were blessed with the referral of 2-month-old identical twin boys. As well, two of our precious waiting children from the Special Needs website, www.chifamily.net, have also been placed. We are thrilled that they now have a place to call home! There are several additional children still waiting, of whom we'd love to say the same.